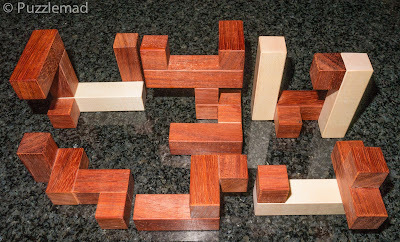 Mrs S is often exasperated with me for the constant procession of packages containing yet more and more puzzles! She cannot seem to grasp why I keep buying them when they are "just all cubes". When I tell her that they are all different and provide new challenges and fun she reiterates that there is no difference between them and that they are "just all cubes". 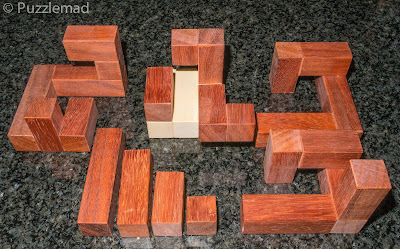 Looking at today's blog post, she might have a point - they are a lot of cubes but certainly not "just cubes"! 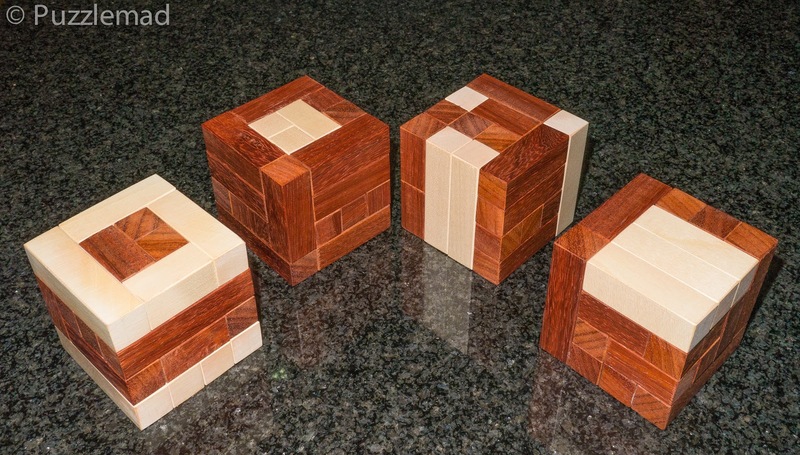 At the end of last year, I was reminded on Facebook of the existence of the fabulous puzzle designs for 4x4 interlocking cubes designed by Derek Mayer. As far as I know, only one was ever produced commercially and that was a very long time ago by the Pentangle puzzle company (sadly now no longer open). Looking back using the Internet Wayback machine, they used to sell what looks very like Mayer cube 9B. In the entire 8 or 9 years, I have been puzzling they barely ever had any stock of anything and all I was able to do was drool wistfully. When I saw (and commented) on some of the designs someone had posted on Facebook, my very good friend (and interlocking cube expert) Bernhard offered to build a few for me with some offcuts of nice wood that he had left. The very first delivery of 2019 was a series of 4 of the best Mayer cubes. From the left, there is Christmas cube 3, Mayer cube 9B, Mayer cube 10C and Mayer cube 7B. I quickly set to with 9B and, as always with Bernhard's craftsmanship, everything was very nicely finished and beautifully tactile. A few moves were found quickly and I proceeded with my usual to and fro to ensure a muscle memory developed of the path back to the beginning. 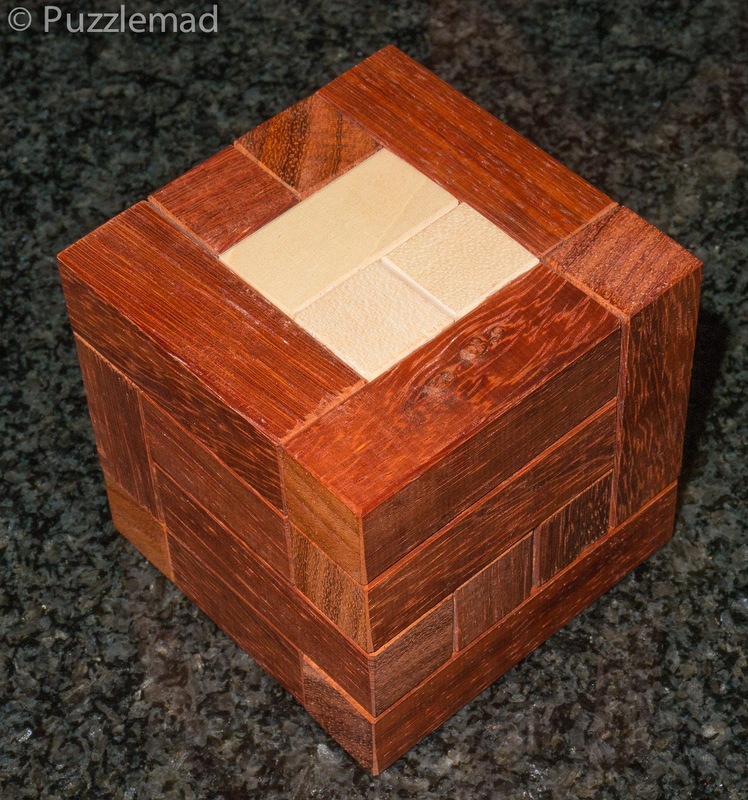 Considering it is only a 4x4 puzzle, this was remarkably complex. 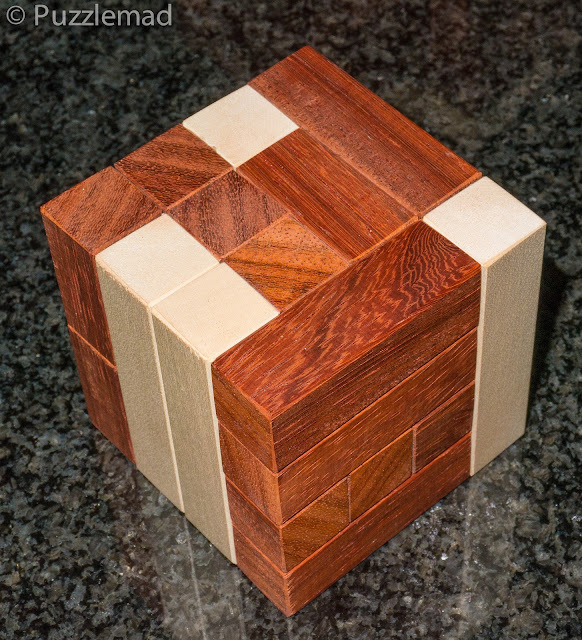 At some point during the process, I must have been holding the puzzle the wrong way and it sort of collapsed on me. Mrs S, who had been watching me play for a few minutes, burst out laughing at the sort of horrified look on my face! I had absolutely no idea how it went back together. 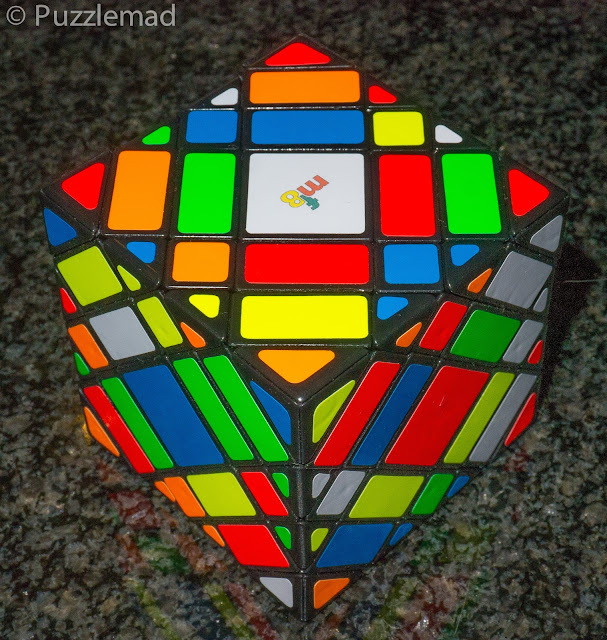 According to the Pentangle site, the real challenge is the reassembly. Hell yes! They are not wrong! I could easily work out where everything was supposed to go but for a very long time, I could not reassemble the damn thing. Eventually, after about 3 hours, I finally managed to get it back together with a huge sigh of relief and then proceeded to make a Burrtools file for my (and Derek's) collection. Next up, after a few days breathing space to collect my nerves, I moved onto the Christmas cube 3. It did not take long to take it apart and yet again, collapsed into a small pile of wood but this time without the gale of laughter from "she who mocks me". This seemed very unstable from the moment I picked it up and I realised that one of the glued joints had come apart on a piece. This happens not infrequently and I am fully equipped with clamps and wood glue. Under the beady eye of "the frightening one" I carefully glued the piece back into the puzzle and clamped it being very careful not to get any glue on the granite worktop! No matter how many times I tell her that wood glue is easy to remove, she always gets upset whenever I bring glue into the kitchen (Whack! Ouch!). 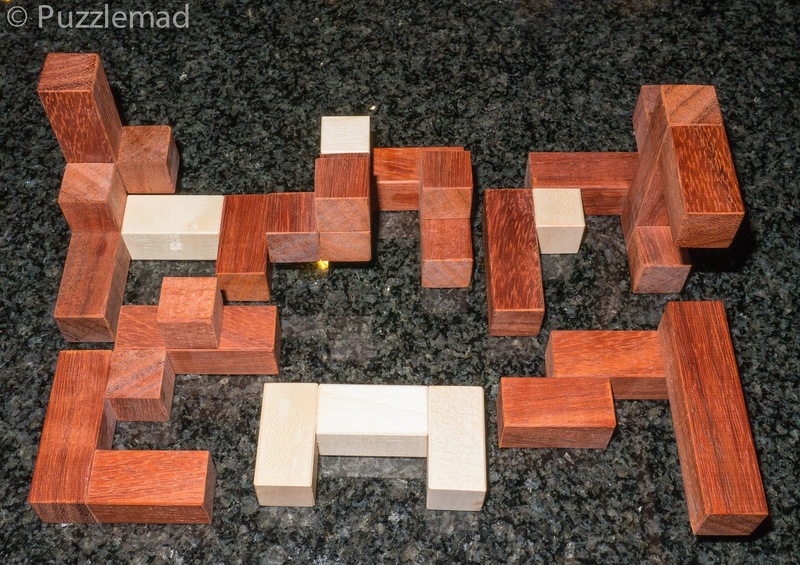 This time no glue escaped the cube but it did seem to escape the confines of the pieces that I had glued deliberately together - I prefer to glue within an assembled puzzle to ensure that everything is perfectly squared off as even a tiny error in angulation will mean a puzzle becomes impossible to assemble. Unfortunately, the little escape of glue onto an adjacent piece had the disheartening effect of rendering the second move impossible - I had glued the pieces together! In fact, I did not know what the second move was supposed to be - Aaaargh! I was too ashamed to email Bernhard for help straight away and an in-depth internet search revealed a photo of the second move on an auction site. At least I knew what was supposed to move and which direction but how to achieve it? 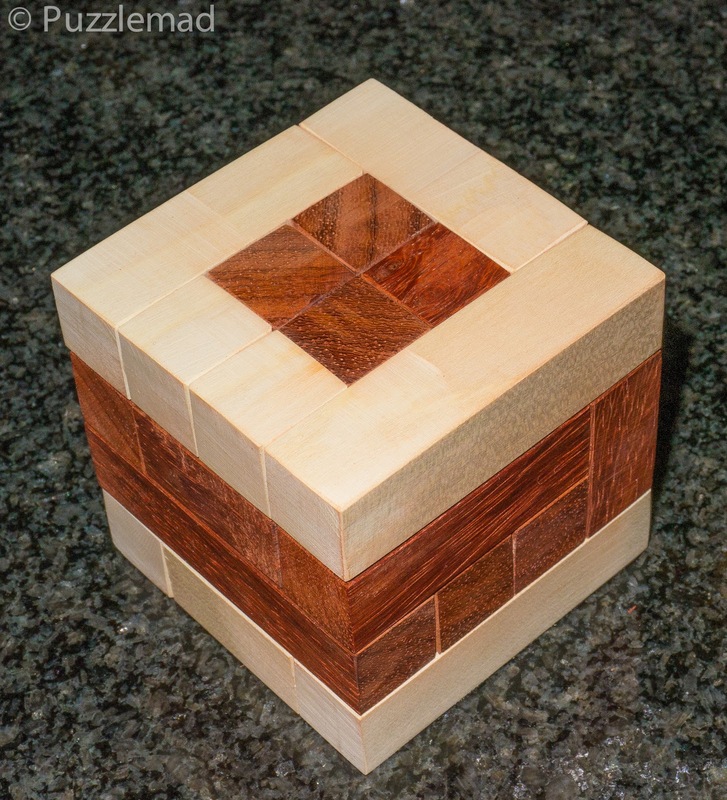 It took me 2 evenings of many different attempts before I worked out where to put my pressure and during a particularly riveting episode of Silent Witness on TV I pushed really hard to achieve a sickening crack and a fully functioning puzzle. After that, a quick disassembly was possible and I established that I had only broken the incorrectly joined pieces and then a rather prolonged reassembly occurred over the next two evenings! Delightful! Another Burrtools file to be made! The last one I had was 7B. This one was left until last because of its' instability. When I picked it up and rotated it around a bit, 2 pieces quickly dropped out. Rather put off by this I decided to put them back and wait until I could be seated in my comfortable chair. 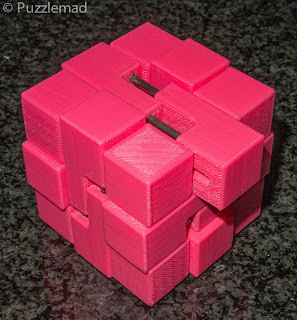 When I got around to it, I immediately and carefully removed the 2 pieces that fell out the last time and continued to explore.- promptly another 2 pieces fell out of the core and the rest of the cube made a sliding movement and collapsed on me! OMG! I had no idea where the interior pieces came from. It didn't take long to separate the last pieces and examine what I had. I don't think I have ever seen an interlocking puzzle with simple sticks of length 1, 2, 3 and 4 in it. Very weird! I did worry that there must have been another joint fracture in the post but there is no sign of that on any of the pieces at all. This puzzle is essentially a frame with a tiny packing puzzle inside - it is not difficult to reassemble from scratch but still quite enjoyable. Another Burrtools file done! Thank you, Bernhard, these were great fun and are a really nice addition to my collection. This pushes all my buttons! Next up, it was time to try a more complex cube (maybe Mrs S has a point?) - I had bought the Pushbutton burr from Tom Lensch after the IPP had finished last year. This was a design by the amazing Ken Irvine which had been entered into the IPP design competition in San Diego. Tom had made it beautifully from Canarywood with Indian Rosewood push buttons. It is wonderfully heavy in the hand and looks stunning. The dark buttons need to be pushed in just the right order and one ends up with a nice spikey cube. Only after all the buttons are pushed out is it possible to move any of the frame pieces and then a really pleasant sequence for the removal of frame and buttons occurs one at a time. It is quite therapeutic to do it and I left a nice carefully arranged line of pieces on my lap and the arms of my chair ready for the same sequence in reverse to put it back together again. Suddenly both cats zoomed across the room, over my armchair and across my lap. I screeched due to a claw or two in my delicate parts and they zoomed off after each other again! Once my eyes had stopped watering, it was clear that I was going to need to assemble the puzzle without help from my arrangement - the pieces were everywhere! There is no way I will be able to assemble this! I tried to put it back together for days! 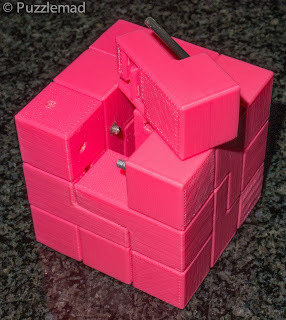 It is possible to get most of the way there with relative ease but for me, no way I could put it back together. Time for another trek to Burrtools. 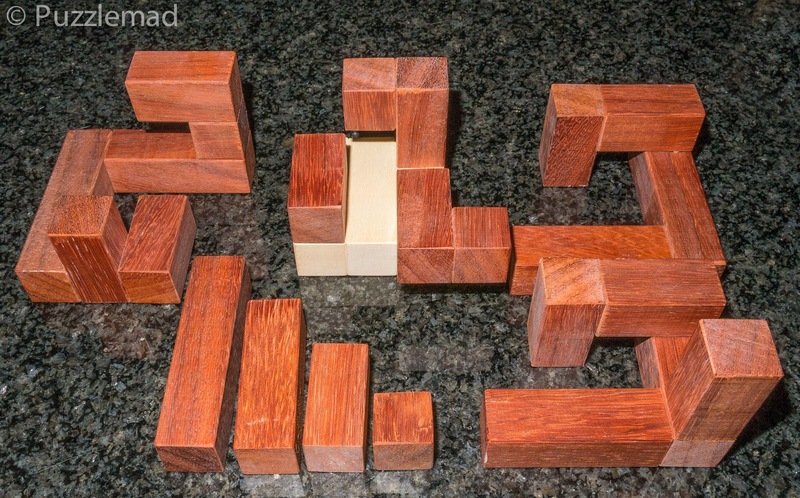 I have disassembled this puzzle multiple times and still cannot remember the sequence and orientation of the pieces - one day I will manage to work it out from scratch...hopefully! First piece out - Phew! 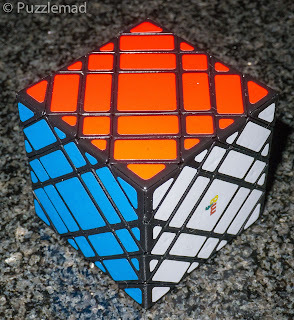 After removing the first piece, I continued the sequence (I did it several times because I a) got lost and b) hit a dead end and back-tracked several times. I could go no further and so I emailed Aleksandr. It would appear that the sequence cube cannot be built because it is too unstable to work with and this particular puzzle is a variant with only one removable piece - this puzzle is the 136 minutes puzzle with 8189 moves. I assume the name is for how long it should take to get from beginning to end - it certainly took me MUCH longer than that! I also have an extra piece which you can see in the first photo. 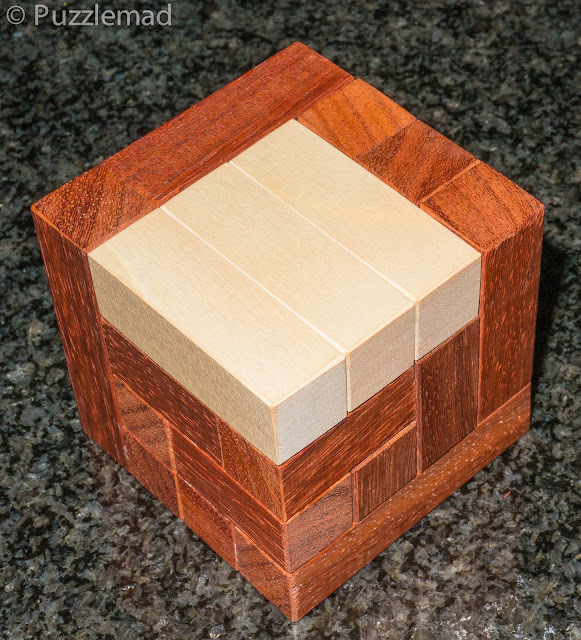 Using this piece turns it into the 205 Minutes Box puzzle and requires 12,282 to assemble and disassemble - Do I dare to attempt it? Move 1 done - 12,281 left! GULP! 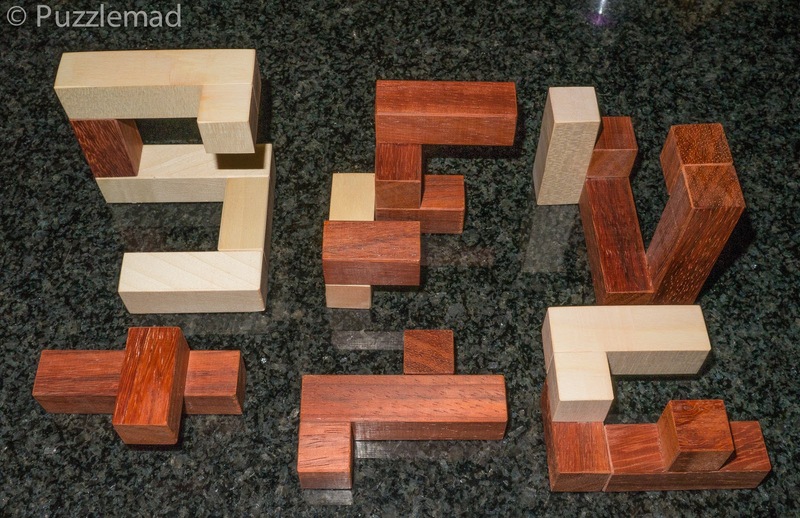 The question is...what puzzle should I attempt next? 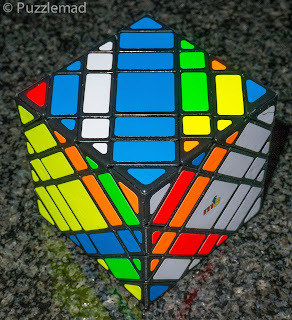 I seem to have gotten a bit rusty at twisty puzzles - it took me nearly 2 minutes to solve a colleagues 3x3 Rubik cube which she had brought in to work for me to fix for her. That is shameful! 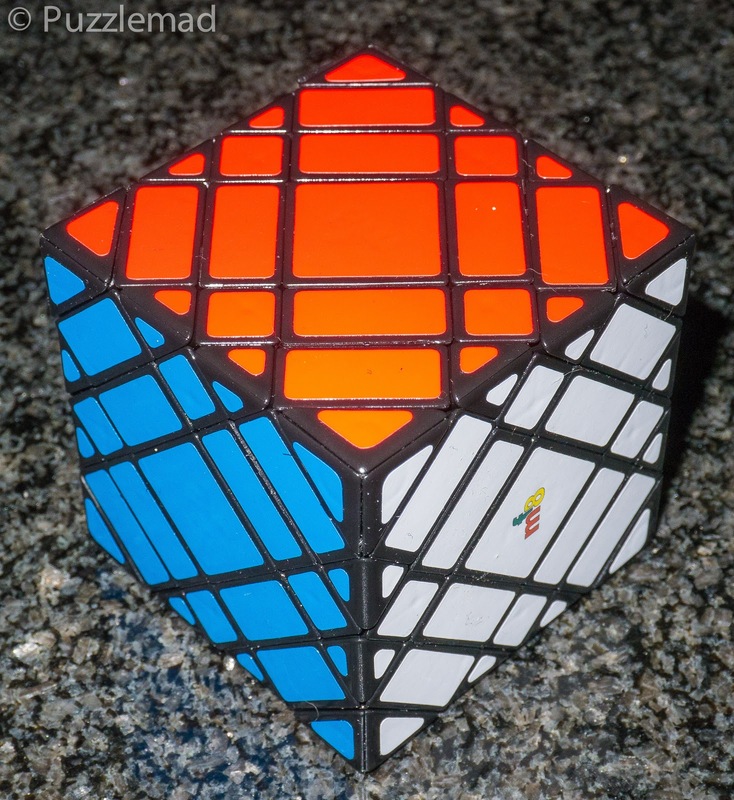 I think I should move onto a puzzle that has been taunting me for a while - the Elite Skewb. I had absolutely adored the Master skewb puzzle when I reviewed it way back in 2013. In reality, I did not just scramble it. I was seeking algorithms and got lost on my second attempt and the scramble just happened by accident! Lord help me! Hmmmm! There appears to have been quite a lot of cubes here! Is Mrs S actually correct? 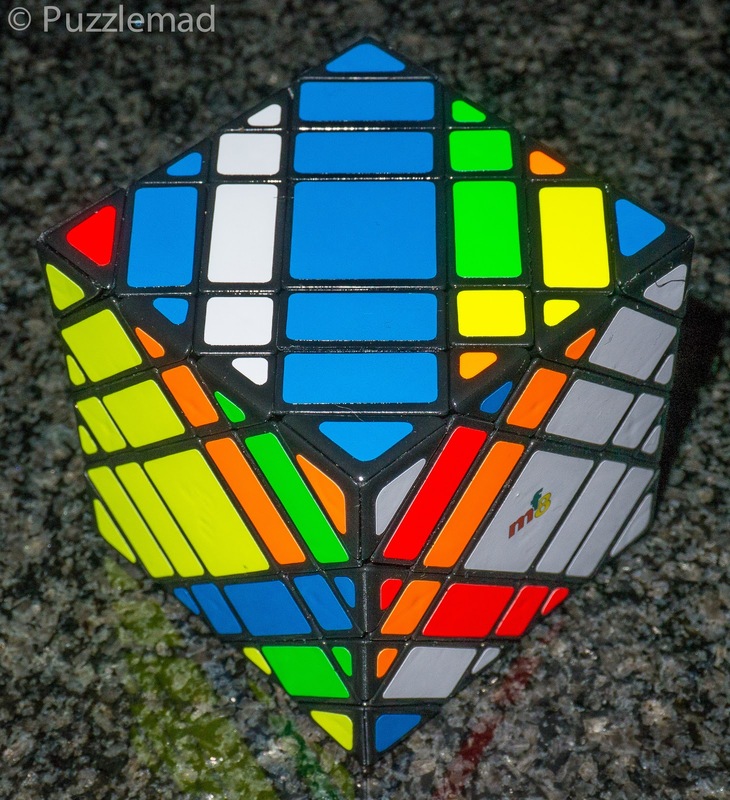 I’m impressed that you managed to find 3-cycles on the elite skewb without scrambling it by accident like I did. I need to get the skewby copter plus but I did not really enjoy the curvy copter plus much and I’ve assumed that it is based on the same idea. 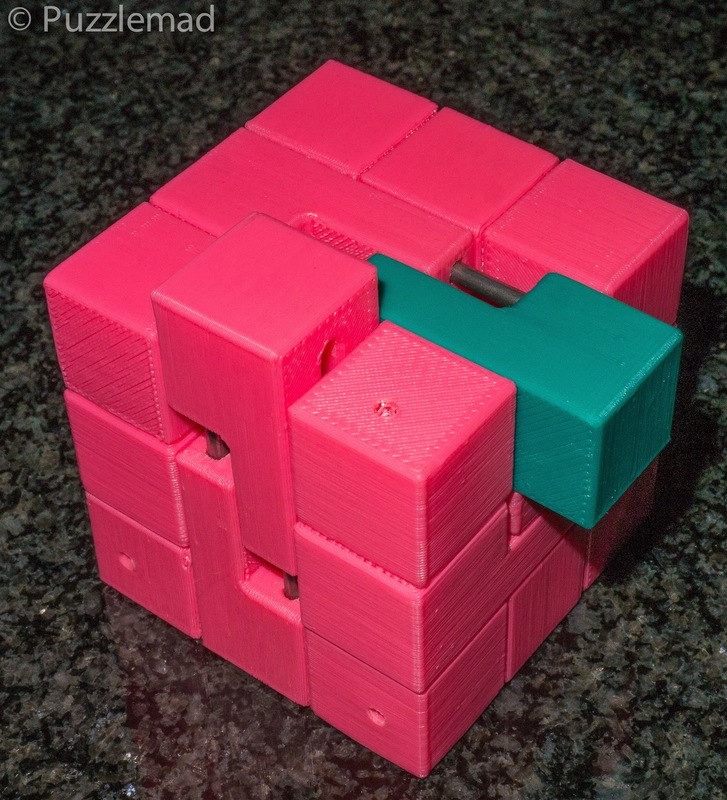 Did you get the 16 Axis Shuang Fei Yan Cube and the 12 Axis Bi Yi Niao Cube? These really scare me! I highly recommend the skewby copter plus. Needed a bit of breaking in, but then is excellent - especially considering its complexity. 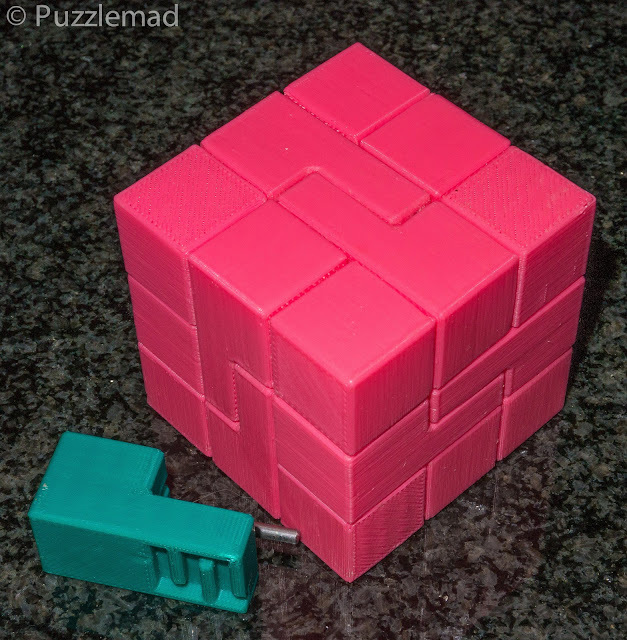 It is much better designed than the curvy copter plus; that puzzle suffers from 'fudging' as I believe it is called... i.e. allowing certain moves only by pushing / over-stretching. The skewby copter plus simply allows those moves without problems. This may well become may favourite twisty of all, as I've always liked copters the most. Thanks for the advice Frank. I’ll add it to my list. Yes, they are all just cubes. Hah! The Mayers look very interesting and fun. I'll have to ask Bernhard about those. Thanks for reminding me about the Pushbutton Burr - I set it aside after getting a couple of pieces out (then reassembling) and got distracted. That's a lovely one I need to spend some time with. Another enjoyable read - thanks! I’m glad you enjoyed it. This one took a very long time to write! The reassembly of the Pushbutton burr should be possible if you are better than me. It should be easy for you!